Innovation in cultural sector through design. Jüniör is a design action in service of innovation for the cultural sector. Our goal is to improve, strengthen and transform people’s engagements with cultural institutions while optimising their businesses by ideating impactful experiences and services. 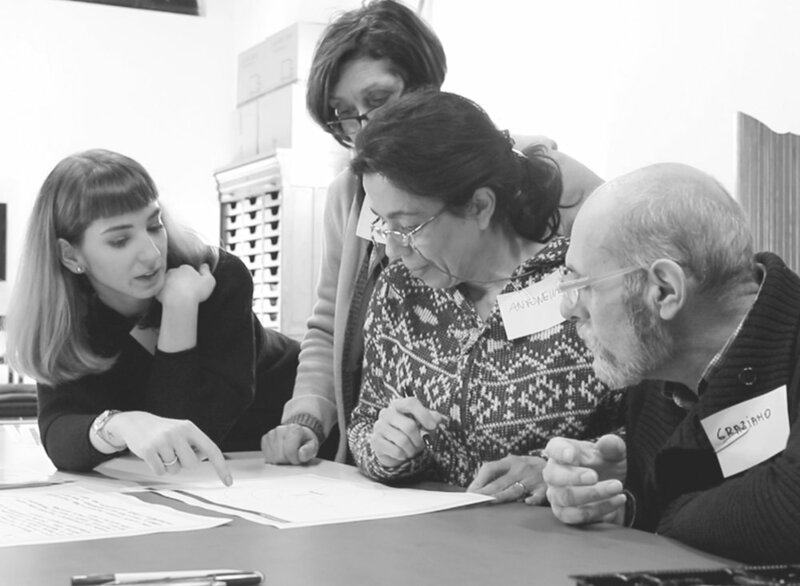 Based in Milan, we organise design workshops+actions and do R&D+strategy with and for the museum, archive and library professionals. Most importantly, we do love exploring the field for ourselves! Jüniör starts every project, whether a workshop or a long-term design project, with design research in order to understand the needs and interest of audiences while getting to know cultural institutions we work for. The thinking ability of ‘design’ not only helps us to valorise the patrimony of cultural institutions, but also to active and disseminate it through a strategic and systematic approach. We do value the post-design period, where we profoundly trace the impact of a design direction to improve consciously. Jüniör gives a lot of attention to research in order to deeply understand audiences and bring empathy to their needs, feelings, and expectations. For this, we apply design research methods to map their knowledge level, attitudes, and behaviour which are crucial elements to talk about a cultural institutions’ experience offer. We use design research methods also to get to know your institution, the way you work, your culture and the holdings you have. We know that you are traditionally a “stable” entity with limited resources but we also know that research can help us to overcome this difficulty towards innovation. Jüniör believes that cultural institutions are entities in service of production and dissemination of knowledge, which should be designed in such a way that allows and invites the public to access, perceive and interact with information. Therefore, we do not only focus on preservation but also on activation of cultural heritage knowledge, helping you to make strategic decisions on how to diffuse and disseminate knowledge your institutions, how to enable new readings on your institutions holdings, how to transmit your tangible and intangible patrimony for the future. In between all these hows, it’s also guide you in whys; why to digitise and/or adopt that technology. Jüniör aspires to bring service-system mindset into cultural sector for better management of institutional products, services, initiatives and experiences as well as organisational structure and resources. With this mindset, we help you see your institution as a eco-system and guide your strategic decisions accordingly. Together we map all actors and assets involved in the overall activity of your institution and define areas, whether related to your internal structure, territorial relationship or your public-facing actions, where we can enhance and improve your performance. Seeing the full picture clarifies your values for the audiences and creates space for innovation. We believe that innovation for the cultural sector - creation and ideation of new approaches, projects and initiatives - can happen through ‘design’ and by working together. That’s why we organise workshops+design actions to take the first steps in approaching innovation and offer consultancy services for an systemic improvement. We want to let design a way of living for the cultural sector and accompany cultural institutions for a better future. Jüniör offers a range of innovation support with the aim to help cultural institutions understand and address their challenges from a design point of view, from audience development and experience offer assessments to organisational design and strategic planning. Our work always starts with co-ideation meetings and design research in order to map opportunities and define a clear vision for the future together. Jüniör’s Trends Booklet is a yearly activity where we trace and bring insights from cultural institutions worldwide by focusing on their technological, social and economical developments. Our aim is to introduce ideas, inspirations and tips related to innovation in cultural sector by gathering them in a notebook for our community. The growing interest in redefining the role of cultural spaces and the impact of digital transformation guided the 2018 Theme and ‘Museums in 2018+ Ten Essential issues in the cultural realm’ is born. 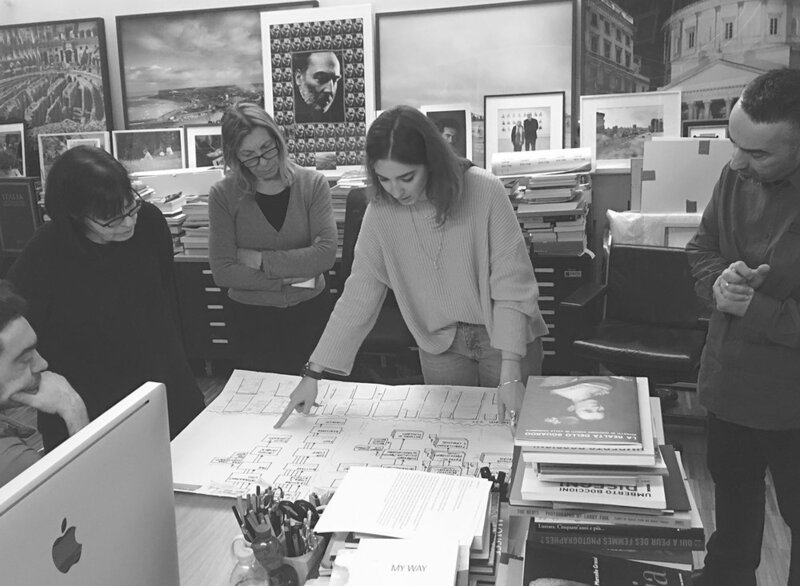 We work with and for the museum, archive and library professionals and culture-lovers to improve, innovate and sustain the products, services and experiences of cultural institutions through design. If you’re one of them, we would be honoured to work with you.